Since 2014: Incoming Scheme NEWFELPRO Fellowship for senior researcher project -CARBEN Carbon footprint reduction and energy efficiency via development an advanced techniques for Total Site integration (Scientist in Charge mentoring the Project Manager during the project and for coordination and implementation of activities by the Host Institution). 2007-2011: „Smart energy storage for sustainable energy development“, research project supported by the Ministry of Science, Education and Sport of the Republic of Croatia, project No. 120-1201918-1920 (project associate). 2010-2014: „JoRIEW - Improving capacity of Jordanian Research in Integrated Renewable Energy and Water supply“ (EC, DG RTD, FP7 INCO) FSB, Zagreb (project associate). 2012-2014: ICT-aided integration of Electric Vehicles into the Energy Systems with a high share of Renewable Energy Sources, research project supported by the Croatian Science Foundation (project associate, WP-leader). Since 2016: H2020-EU.1.3.3. 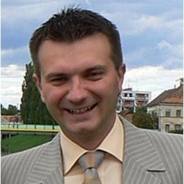 MSCA-RISE-2015 project 690925 - Phoenix - People for tHe eurOpean bioENergy mIX (Coordinator: ESEIA, Austria) (project coordinator for Croatian participation). Since 2016: H2020-EE-2015-3 - MarketUptake project 695989 - Heat Roadmap Europe (HRE): Building the knowledge, skills, and capacity required to enable new policies and encourage new investments in the heating and cooling sector (Coordinator: Aalborg University, Denmark) (project associate). Since 2014: IEE project STRATEGO - Multi-level actions for enhanced Heating & Cooling plans (Coordinator: Euroheat & Power AISBL – EHP, Belgium) (project associate). Since 2014: IEE project BEAST -Beyond Energy Action Strategies (Coordinator: East Sweden Energy Agency from Linköping, Sweden) (project coordinator for Croatian participation). Since 2012: Strategic Research Centre for 4th Generation District Heating Technologies and Systems (4DH), research project supported by the Danish Agency for Science, Technology and Innovation (project associate). Marie Curie Actions - International Research Staff Exchange Scheme- FP7-PEOPLE-2011-IRSES (project coordinator for Croatian participation). 2008-2011: “SMART: Strategies to promote small scale hydro electricity production in Europe” collaboration project supported by European Commission within Competitiveness and Innovation Framework Programme (project associate). 2009-2010: “ROSES: Role of the Smart Energy Storage in 100% Independent Energy Systems”, Croatian Science Foundation, (project associate). 2008-2010: „FLICK THE SWITCH - Instigating Simple Energy Efficient Behavioral Practices in Schools“, collaboration project supported by European Commission within Competitiveness and Innovation Framework Programme (project associate). 2007-2010: „STORIES - Addressing barriers to STORage technologies for increasing the penetration of Intermittent Energy Sources“ collaboration project supported by European Commission within Competitiveness and Innovation Framework Programme (task leader). 2007-2009: „GERONIMO - Getting Energy Reduction On Agendas in Industrial Manufacturing Operations”, collaboration project supported by European Commission within Competitiveness and Innovation Framework Programme (project associate). 2006: “Multicriterial optimization of energy systems“ project finaced by Ministry of Science, Education and Sports (0120-037) (project associate). 2005-2008: project WEB-MOB: Development of researchers mobility policy guidelines for the region of Western Balkans within FP6 program INCO-WBC (project associate). 2005-2007: WEB-ENV: Development of Environmental Guidelines for the Region of Western Balkans, EU project within FP6 program INCO-WBC (project associate). 2004-2007: „ADEG: Advanced Decentralised Energy Generation Systems in Western Balkans“, project supported by European Commission, DG RTD, FP6 - Programme STREP-INCO-WBC (work package leader). 2001-2004 on EU project: SDEWES - Dubrovnik Conference on Sustainable Development of Energy, Water and Environment Systems (INCO program FP-5), FSB, Zagreb (project associate as a student). Management Board Member and Secretary of “The International Centre for Sustainable Development of Energy, Water and Environment Systems (SDEWES Centre)” since 2009. Member of management board “DOOR - Croatian Society for Sustainable Development Design” 2013-2016, (member since 2004). 13. Batas Bjelic, I.R., Skokljev, I.A., Puksec, T., Krajacic, G., Duic, N., Integrating the flexibility of the average Serbian consumer as a virtual storage option into the planning of energy systems (2014), Thermal Science, 18 (3), pp. 743-754. Ban, Marko; Krajačić, Goran; Grozdek, Marino; Ćurko, Tonko; Duić, Neven. The Role of Cool Thermal Energy Storage in Integration of Renewable Energy Sources and Peak Load Reduction // CD Proceedings of 6th Dubrovnik Conference on Sustainable Development of Energy, Water and Environment Systems / Ban, Marko ; Duić, Neven ; Guzović, Zvonimir (ur. )., 2011. Ćosić, Boris; Krajačić, Goran; Duić, Neven. Towards 100% renewable energy system: the case of Macedonia // Proceedings of 6th Dubrovnik Conference on Sustainable Development of Energy, Water and Environment Systems / Ban, Marko ; Duić, Neven ; Guzović, Zvonimir (ur. )., 2011.